Tax policy hinges largely on economics. This research guide is designed to serve as a starting point for conducting research in tax policy analysis. 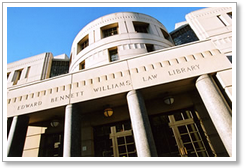 It will include both print and electronic resources available in the Georgetown Law Library. Additionally, links to think tanks and other policy research centers are included. Members of the Georgetown University community may seek additional assistance at the Reference Desk.